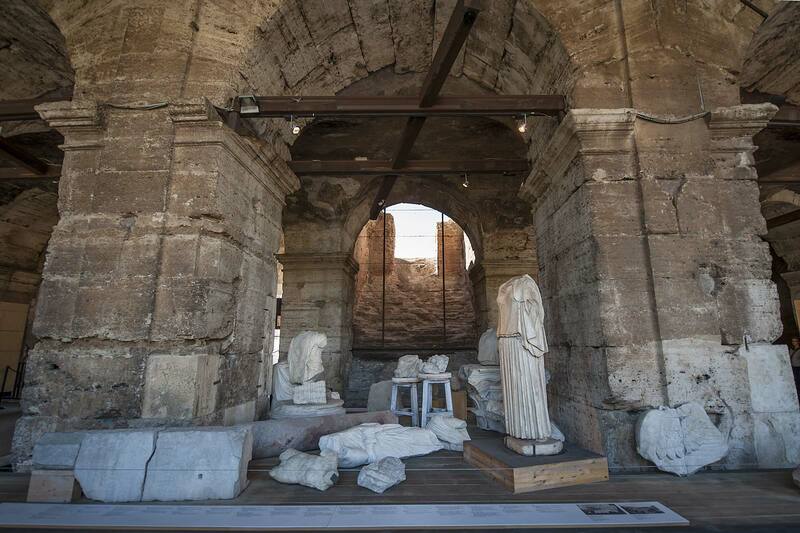 Nuestro atrayente recorrido empieza con una visita al monumento más impresionante de la antigua Roma: el Coliseo. Conocido originariamente como Anfiteatro Flavio, es el anfiteatro más grande del mundo. 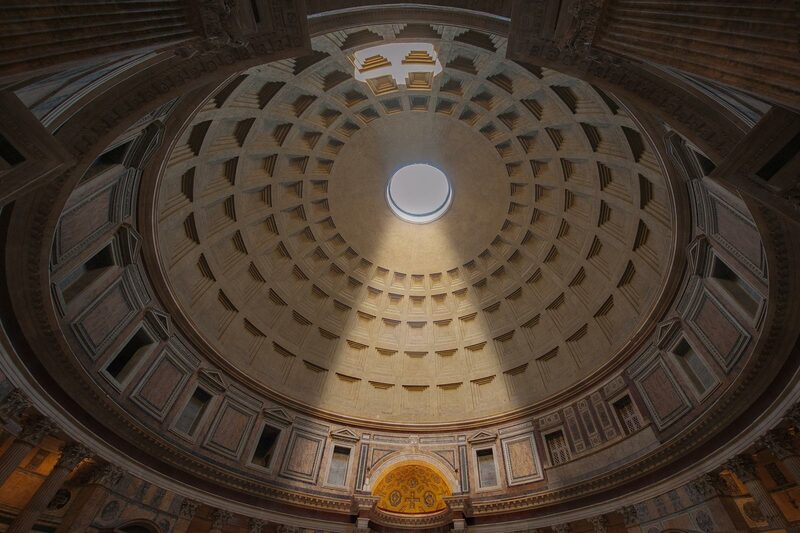 Símbolo de la Ciudad Eterna, el Coliseo inspira y asombra, afirmando la grandeza y el esplendor de la antigua Roma. La siguiente parada es el Foro Romano, un valle que se extiende entre la colina Palatina y la colina Capitolina. El Foro representaba el centro político, religioso y comercial del la ciudad, y fue aquí, entre los espléndidos arcos y templos, donde yació el cuerpo de Julio César, sobre un altar que todavía hoy puede visitarse. Una visita imprescindible en Roma. Dejamos el mundo antiguo para continuar con Piazza Venezia, donde podrá admirar el Altar de la Patria, uno de los monumentos más sorprendentes que puede visitarse en Roma. Su itinerario romano no estaría completo sin una visita a la imponente Fontana de Trevi. La fuente más grande y famosa de Roma, recientemente restaurada, se muestra más deslumbrante y hermosa que nunca. Nuestro recorrido a pie continúa a través de las características y estrechas calles romanas para llegar a la plaza de Santa Maria della Rotonda, donde se encuentra el Panteón, cuya famosa cúpula perforada sigue siendo la más grande y más importante jamás construida. 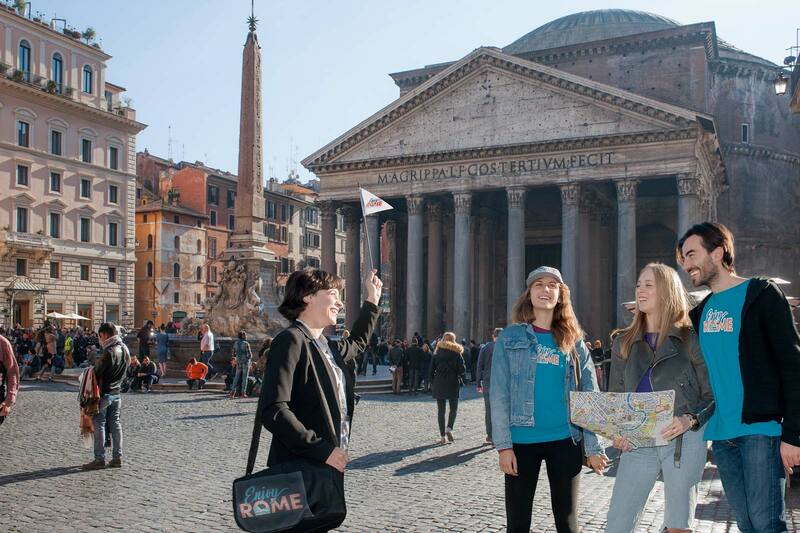 El itinerario que recorre lo mejor de Roma finaliza con una visita a Piazza Navona, una plaza famosa por las tres fuentes de Bernini y por una serie de anécdotas muy interesantes que nuestros guías compartirán con usted de forma entusiasta. Desde la estación de metro "Colosseo" (planta baja), cruce la carretera hacia el Coliseo y camine por la Plaza del Coliseo, unos pocos metros más adelante verá el Arco de Costantino. Nuestro coordinador lo esperará justo debajo del arco. Llegue 25 minutos antes de la salida. Nuestro recorrido finaliza en la famosa e interesante Piazza Navona. Este itinerario a pie tiene una duración de 3,5 horas, ¡así que asegúrese de llevar un calzado cómodo! Si usted o algún miembro de su grupo tiene dificultades de movilidad (utiliza muletas, silla de ruedas, etc. ), por favor, contacte con nosotros con antelación. Esta visita no es accesible para personas en silla de ruedas. Previa solicitud, disponemos de visitas privadas adaptadas a las necesidades de las personas con movilidad reducida. Excellent tour and well described. Yes, there is a lot of walking but that’s really the best way to see and experience this beautiful city. Giuseppe was a wonderful guide. His English was usually easy to understand and he was well versed in local history. Our tour guide, Giuseppe, was fun, friendly, and very knowledgeable about the history of Rome. The pace of the tour was well-timed and didn't feel rushed. 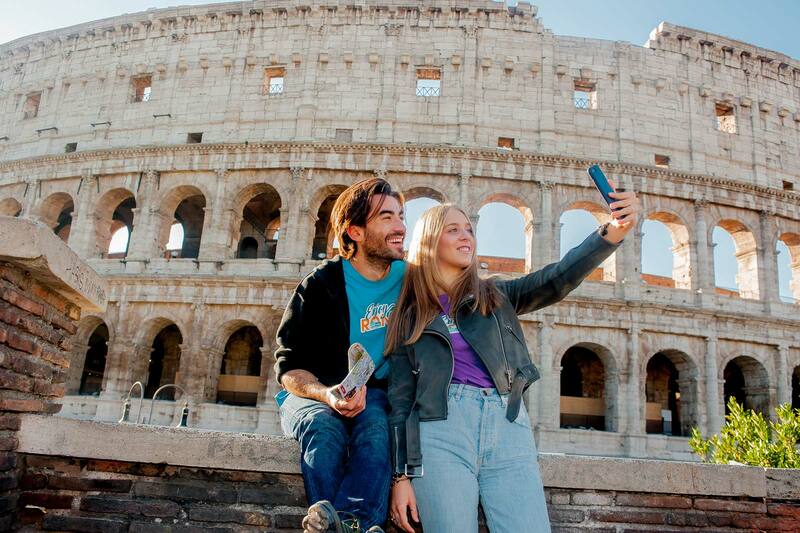 Working with Enjoy Rome is easy because the tour information provided was easy to follow and organized. We will definitely use Enjoy Rome again! Catherine notre guide est à demander pour vos excursions sur Rome. Elle est très captivante et vous rend la visite du Colisée, forum et Panthéon très agréable malgré un temps exécrable! Avec plein de petites anecdotes, de support pour compléter ses dires... c’est top. Avec 2 ados pas tjs facile à captiver là ils ont été conquis et les 3h30 de visites sont passées comme une lettre à la poste. 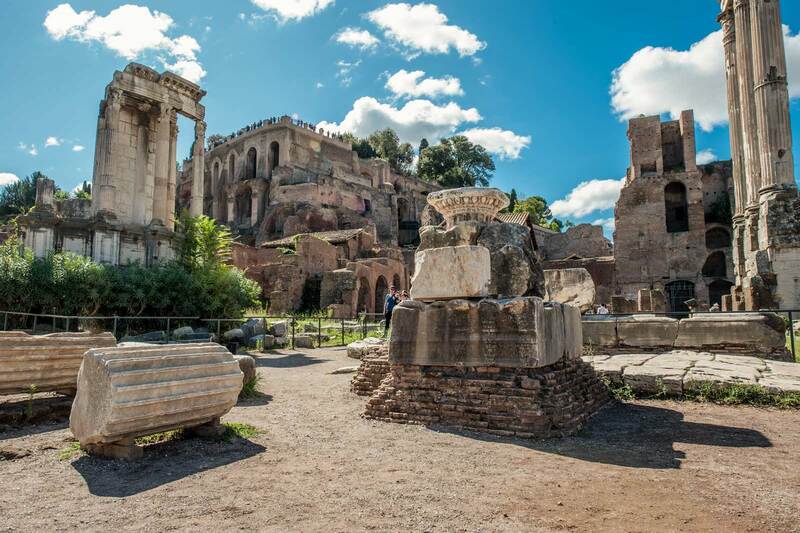 We booked this tour through a travel agent and forgot that it was a walking tour though the whole city not just the coliseum and roman forum. but that is okay because this was still a great tour to take early(Day one for us) it showed us a good way to get around the city and showed us the highlights of what rome has to offer. 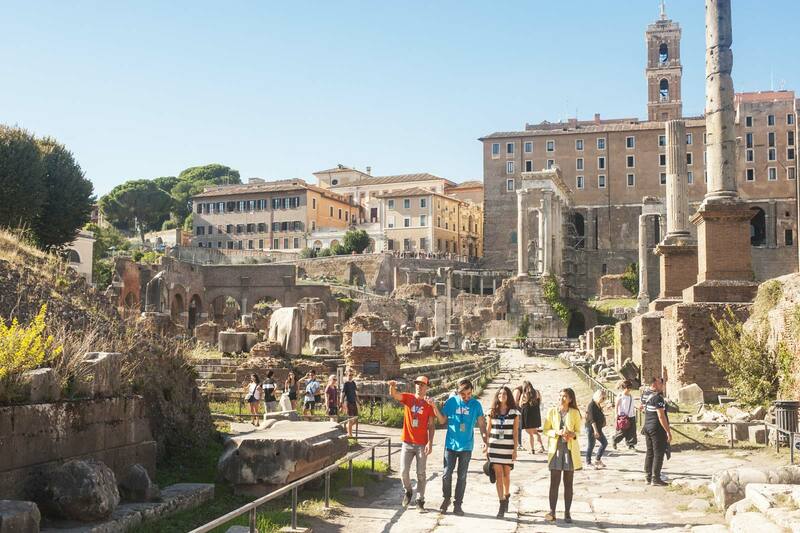 if you are ready to do some walking this is the tour for you to really get going in rome. Our guide Giuseppe was great. The tour was enjoyable and Giuseppe was very informative during the whole tour. Visite du mardi 24 octobre 2017 à 14h j'ai oublié le prénom de la guide mais je pense qu'il sera facile de savoir de qui il s'agit. guide très agréable, à l'écoute de chacun sachant s'adapter à son public avec des commentaires de qualité dans un français parfaitement maitrisé. Je la recommande vivement. My wife and I loved this walking tour as we not only got to see and hear about some of the key attractions in Rome, our guide, Lara, was outstanding. She not only provided the history behind the attractions, she added interesting facts and related to movies and material that everyone really enjoyed. Thank you Lara. We recommend this tour highly. Fransisca did a fantastic job of explaining the history of the coliseum and all other points of interest. She had the passion and knowledge that was exhibited to the entire group. I would ask for her again. Me and my auntie went on the walk in the morning with the guide Giuseppe and it was lovely! It's a long walk but we went slowly and making stops so we could see everything. The guide Giuseppe was fun and gentle and he knows a lot about all the monuments! We understood perfectly what he explained. He was carfull with all group and gave us all the attention. Laura was a Fantastic Tour Guide! We had the best time on our walking tour with Laura. She was very friendly and so knowledgeable about all the sights we visited. We had plenty of time for picture taking and asking questions. With only 6 in our tour group (and we were 4 of them) it was almost a private tour. Thank you Laura for such a great morning!! We took the tour with Giuseppe and he was amazing. He was friendly, funny, and knowledgeable. It was a long, intense walking tour in the hot sun, but he made sure to take care of the group with plenty of breaks and pointers on where to get beverages and gelato. He even took the time to give us a mini counting lesson in Italian! I would highly recommend him and this tour. Geuseppie was a very knowledgeable and interesting tour guide. The tour was very informative and very well led. The pace was manageable and there were enough toilet and rest stops. The tour was very well worth doing. Would recommend! 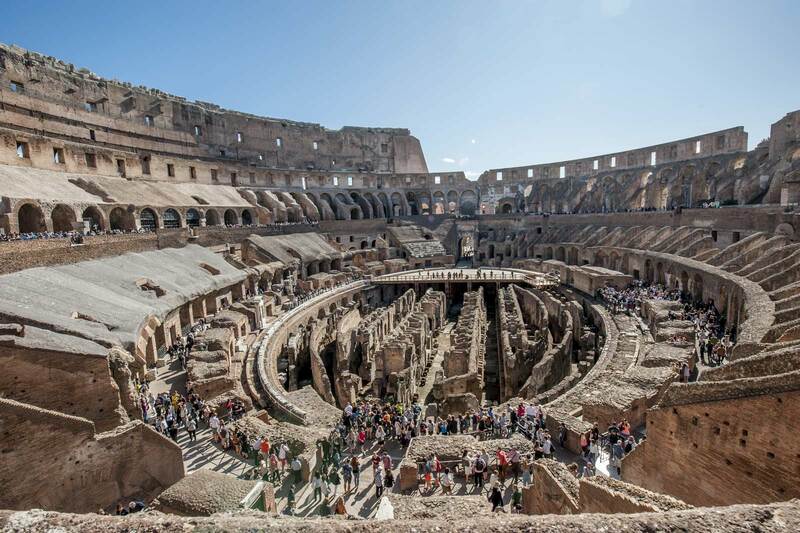 My husband and I went on a half day tour of the Colosseum, Ancient Forum, Trevi Fountain, the Pantheon and Piazza Navona. It was wonderful and Giuseppe did a great job. Very personable and knowledgeable! Our tour was wonderful and was enhanced by the knowledge of our tour guide, Giuseppe. 5 Stars to Giuseppe. He made the 3 hour tour in the heat very pleasant. Wir haben die Tour mit der Familie unternommen und waren alle absolut begeistert von unserer enthusiastischen Tourleitung Manuela. Sie hat es verstanden, die Führung zu einem wirklich interessanten Streifzug durch die Geschichte zu gestalten. Auch unseren Kinder (12-18 Jahre) war dabei keinen Moment langweilig. Wir hatten das Glück einer fast privaten Tour, da außer uns nur noch zwei weitere Teilnehmer dabei waren. Wie bereits in anderen Rezensionen erwähnt, ist die Tour recht anstrengend. Manuela hat aber an dem sehr heißen Tag immer ein schattiges Plätzchen für die Gruppe gefunden und auch an den vielen Trinkbrunnen blieb genug Zeit, um die Wasserflaschen aufzufüllen. Irgendeine Anekkdote fiel dann auch immer noch dabei ab. Alles in allem eine wirklich lohnenswerte Tour, die wir insbesondere wegen Manuela uneingeschränkt empfehlen können! We could not have been any luckier. Giuseppe was our guide and with his History of teaching Roman History and Archeological background we were transported to another time and place. What can I say but thank you for making this possible. Great way to spend the morning. Our tour guide Giuseppe was very knowledgeable and very good. The total tour took about 3 hours and we had about 15 minutes at each site to take pictures. I would definitely recommend this tour to anyone planning to visit Rome. Nous avons passe un après midi très agréable et très enrichissant. Nous n'avons pas vu passer les 3h de visite en compagnie de notre guide Barbara, et pourtant il faisait très chaud. Nous n'avons pas fait la queue au Colisée. Les commentaires étaient très intéressants, nous avons pu poser des questions et Barbara nous a laissé un peu de temps pour prendre des photos. Nous recommandons vivement cette excursion à pied qui permet de découvrir les plus beaux monuments de Rome. Un grand merci à notre guide Barbara pour cet excellente après midi et pour nous avoir fait partager la passion de sa ville !! Our guide Barbara was amazing. She was knowledgeable and really nice. 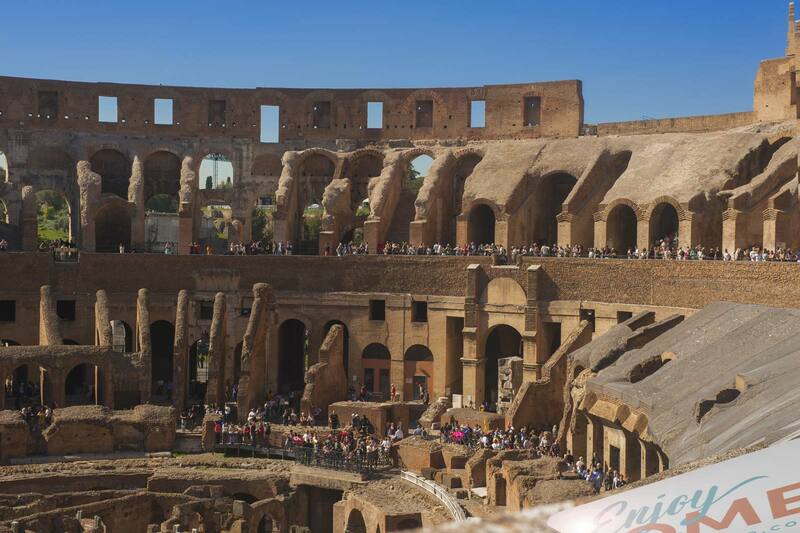 It amazed me how fast we got in into the colesseum, there was a huge line but we quickly made our way through the group tours line and thank god for that because it's hot and sunny in Rome at 9 am. The colesseum and the Trevi fountain was the highlight of this tour, so beautiful. But I loved walking around and enjoyed all the stops we made. This tour included a headphones and a receiver to hear our guide tour no matter what and it was fantastic. There is so much people in these places that we were carefree to move around a bit and still hear her and not get lost. I am so glad we got this tour, it's worth every penny. I will definitely recommend getting this tour and in the future when in Rome I will look forward to booking tours with them. This was our second walking tour during our stay in Rom (first one was in the Vatican) and we were very pleased when we recognized that Pascal, the guide from our first tour with Enjoy Rom was again leader of our group (tour was taken in German language). Since all the main attractions are very close by, this tour is not overly exhausting to do by foot. If you plan on doing a tour in the Vatican and this one, i would recommend first going on the tour in the vatican and then on this on (helps you understand a lot of things better in my opinion). Definitely can recommend the tour, worth the money and time. Especially with Pascal as a tour guide!!! He is a great guy, knows all the facts (at least none of the questions remained unanswered, and we as Germans tend to ask a lot of questions ^^). His sympathetic and humorous characters makes it very enjoyable and never boring to listen to him. If you have him as a guide: SCORE!!! We had a fabulous morning seeing the major sights of Rome, Our tour guide Larissa was excellent, her local knowledge was outstanding, she was very informative about the sites we were taken too, as she has an arciological she had a great deal of passion in her job, I would highly recommend this tour, a reasonable fitness level is required. Giuseppe was a brilliant tour guide and spoke great English for the whole group to understand. He was very knowledgable about all the history around where he was taking us and let us have a lot of free time to go and take pictures and walk around a little. Would recommend this tour a lot. Easily a 5 star. Giuseppe was an excellent tour guide! He was extremely knowledgeable, and chronicalized a lot of history in a format easy to visualize. We're leaving Rome with a much deeper appreciation for the city. 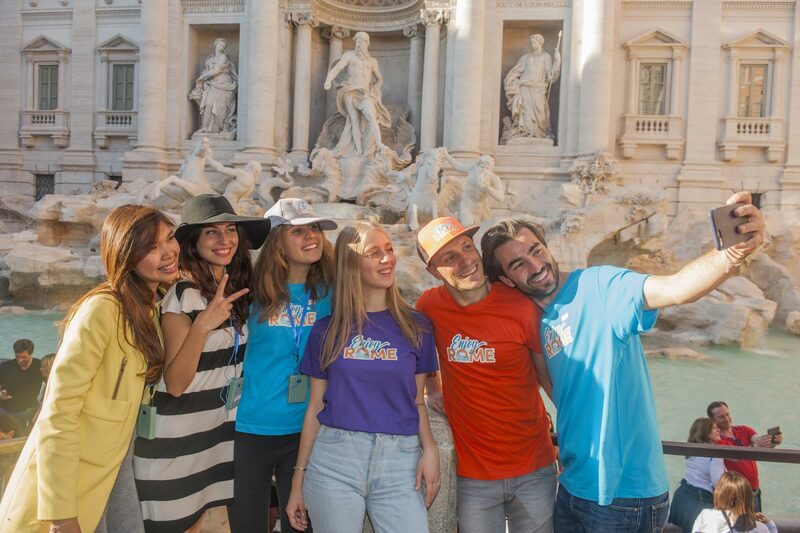 We went on the Best Of Rome in a Day tour last week. Guiseppe, our tour guide was the BEST!!! He was knowledgeable and friendly and made sure we had time to take pictures at each stop on the tour.